The investigation into the killing of the Russian Tsar Nicholas II and his family in 1918 was resumed in 2015. And this time, the Russian Orthodox Church is pushing the Russian government to again investigate the "ritual killing" theory. The term "ritual killing" implies that the Tsar Nicholas II and his family were murdered in a "Jewish conspiracy". In the 1990s and towards the close of the following decade, Russian investigators twice rejected the possibility that the Tsarist family as killed in a ritual murder. However, the Russian Orthodox Church refuses to accept the results and insists upon investigating the "ritual killing" theory. During a recent conference in Moscow’s Sretensky Monastery, titled "The Tsarist Family Murder Case: New Assessments and Evidence. A Debate," Senior investigator Justice Marina Molodtsova said: "Since the investigation was resumed, more than 20 witnesses have been questioned, and the places where the remains were found have been examined. In addition, a psychological and historical test will be conducted to find out if it could have been a ritual killing." At the same conference, Bishop Tikhon Shevkunov, Russian President Vladimir Putin's rumored confessor, stated: "We’re treating the ritualistic murder version in the most serious way. Furthermore, a considerable part of the Church commission has no doubts it was exactly that type of killing." During an interview with the Russian news agency Ria Novosti, Bishop Tikhon Shevkunov also stressed that Yakov Yurovsky, a Russian Old Bolshevik of Jewish origin, participated in the killing of the tsar. Ruefully commenting on Bishop Tikhon Shevkunov's statements, Aleksandr Melman, a Russian-Jewish columnist for the Moscow-based daily Moskovskij Komsomolets, wrote: "The Jews are to blame for everything– the opposite is unthinkable. So, should we be justifying ourselves again? To refer to the national (or international) affiliation of the [Tsar's] murderers? To stress that only Yurovsky, among all the others, was a Jew? To measure the blood composition is to be a Nazi." The Bishop, for his part, rejected all the accusations of antisemitism. He later said: "The Russian Orthodox Church is outraged by the accusations of antisemitism… We haven’t said anything of this kind [antisemitic] because the Church is a guarantor of inter-ethnic peace in Russia. We sum this [charges of antisemitism] up as a disgusting and treacherous provocation… As for today, we discern a definitive ritualistic element in what the Bolsheviks did. Even after abdication the Tsar remained a sacral figure and his murder was perceived from an emblematic and sacral point of view." He also stressed that none of the Russian Orthodox Church representatives mentioned "either the murderers' [of the Tsarist family] ethnic identity or their religious affiliation." Aleksandr Boroda, president of the Federation of Jewish Communities of Russia, and a prime mover in establishing a Moscow Museum of Tolerance, with Putin's support, came to Bishop Tikhon's defense and said: "Bishop Tikhon has explained logically and in detail that the criminal case by the Investigative Committee has no antisemitic context. This is certainly most important for preserving the inter-ethnic peace in our country and for avoiding the creation of unpleasant precedents, which form slanderous prejudices against the Jews. As the Bishop correctly noted, many issues concerning this situation were exaggerated and taken out of proportions. We don’t see any need in dealing with this further and we aren't trying to accuse the commission of antisemitism." Boruch Gorin, the spokesman of the Federation of Jewish Communities of Russia, an umbrella group affiliated with the Chabad Hassidic movement, took a less benign view and strongly criticized the position of the Russian Orthodox Church and Bishop Tikhon's remarks. Gorin said: "Even the Russian Orthodox Church in exile did not contest the antisemitic character of [Bishop Tikhon's] allegation. Currently officials do not say that Yurovsky's [identity] is linked to [the 'ritual killing'], but any educated person, who is acquainted with the history of this accusation knows, what it means." "From the standpoint of [Russian] official chauvinistic ideology, inspired via the television box, our entire history is a series of great victories, an object of great pride. If there are some 'black pages' in this history, then they were written by insidious enemies. This is the common paranoid conspiracy theory. It's not the Russian people who are to be blamed for the atrocities of the Revolution, but its external enemies, who formed the fifth column in Russia and funded it by "Western capitals"… It's not the Russian revolutionaries, who killed the Tsar, but the vicious Talmudist enemies, who offered a sacrifice to Satan... Only five years ago, it was impossible to believe that the Russians would be ready to kill Ukrainians, and that state television would threaten to turn the U.S. into nuclear ashes. If this trend for xenophobia and Russia's global isolation is not reversed, then who knows whether the 'last bar' will be broken in the near future and antisemitism become part of state ideology…"
Presidential spokesperson Dmitry Peskov, refused to make any comments on the investigation. "Russia's Federal Investigative Committee says it will investigate the theory that Tsar Nicholas II, his family, and retinue were murdered in a 'ritual killing,' according to an announcement on November 27 by special cases senior investigator Marina Molodtsova, who said her agency will appoint 'psychological-historical forensic experts,' without explaining what exactly this means. 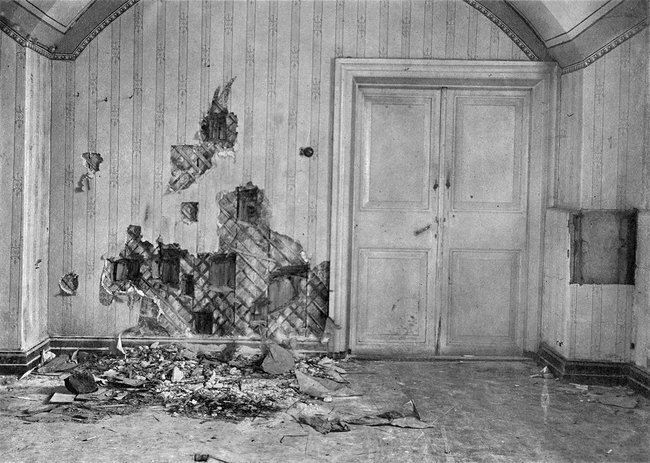 "On July 17, 1918, Nicholas II, six members of his family, and four servants were shot and killed in Yekaterinburg. Historians widely believe that the execution order, which was formally issued by the Ural Regional Council of Workers', Peasants', and Soldiers' Deputies, was orchestrated from Moscow. "Anna Shmaina-Velikanova, a scholar of cultural, biblical, and Jewish studies, told Meduza that theories about 'ritual killings' supposedly committed by Jews were widespread in medieval Europe. 'This belief appeared in the 11th-12th centuries in Germany, claiming that Jews kill a child before Easter in some special way, drain his blood, and mix it into matzo,' says Shmaina-Velikanova, adding that these ideas didn't reach Russian Orthodoxy until the late 17th century. In 1913, a murder trial against Menahem Mendel Beilis sparked worldwide condemnation of anti-Semitic policies in the Russian Empire. Beilis, a Russian-Jewish man living in Kiev, was charged with killing a Ukrainian boy in a Jewish ritual. After more than two years in pretrial detention, Beilis was ultimately acquitted. "With the tsar's murder, the 'ritual killing' theory first emerged in an investigation carried out by the anti-Bolshevik White Army, headed by special cases investigator Nikolai Sokolov, who thought the plan to murder the tsar and his family 'originated many years before the revolution,' identifying self-proclaimed holy man Grigory Rasputin as a proponent of the scheme and as a secret German intelligence agent. "'In circles close to Sokolov, [General Michael] Dieterichs [who took part in the investigation], and [British journalist] Robert Wilton, Jewish influence was attributed to the decision to execute the tsar's family,' wrote forensic investigator Vladimir Solovyov, who headed the 1993 reopened investigation into Nicholas II's murder. "'Jews savagely destroyed the Royal Family. The Jews are responsible for all the evils that have befallen Russia,' wrote Dieterichs in his book, 'The Murder of the Royal Family and Romanov House in the Urals.' Dieterichs is considered the author of a particular 'ritual killing' theory about the Romanovs that claims the Bolsheviks beheaded three of the Romanovs, including Nicholas II. Later, according to Dieterichs' theory, one of the executioners, Filipp Goloshchekin (real name Shaya Itsikovich), delivered the heads to Moscow in barrels of alcohol. Solovyov determined that Dieterichs' theory relied on 'rumors spread among low-ranking public servants' about Goloshchekin's arrival in Moscow. "Wilton tried to analyze the symbols and came to the following conclusion: 'It's been established that the secret 'codes' of certain societies with main offices in Germany and in which Jews are known to participate contain signatures like the Yekaterinburg inscriptions.' In his writings, Wilton drew together 'the Jewish conspiracy,' 'black magic,' the actions of 'secret forces,' and the influence of Rasputin — arguing that all these factors combined led to the murder of Nicholas II and his family. "According to Anna Shmaina-Velikanova, Russia's diaspora in Europe continued to promote the 'ritual killing' theory, even printing brochures about it. During the Second World War, Russian émigrés who cooperated with the fascists, especially in France, eagerly discussed the conspiracy theory, she says. The theory fell out of favor after the war, only to return in the early 1990s. "Russian investigators have twice rejected conspiracy theories about the murder of the Romanov family, reopening the case in 1993 and again in 2007. In 1991, seven skeletons were discovered outside Yekaterinburg that were very likely the remains of the tsar's entire family (except for heir apparent Tsarevich Alexey and Grand Duchess Maria Nikolaevna, whose bodies weren't found until later). "During the examination of the bones, the Russian Orthodox Church was permitted to raise specific questions, and investigators even prolonged their analysis to address the church's concerns, which was meant to remove any doubt that the Romanovs' remains had finally been discovered. The Russian Orthodox Church wanted to know if there was any forensic evidence of a 'ritual killing,' and asked if there were any signs that Nicholas II had been decapitated. 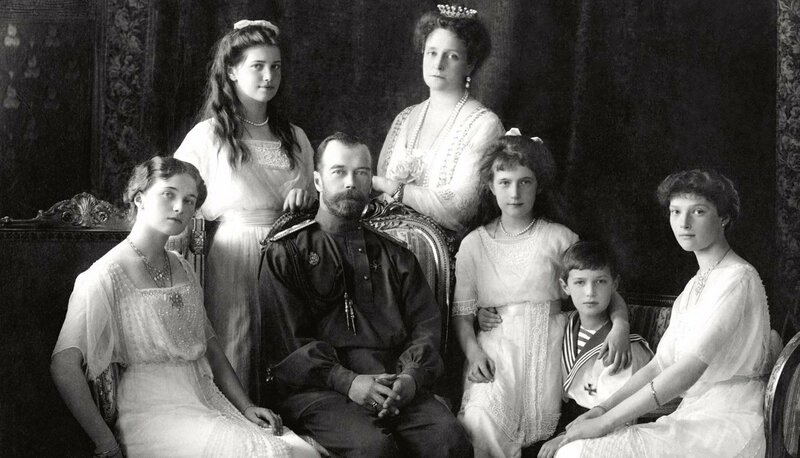 "In 2007, not far from where the Romanovs' remains were discovered in 1991, researchers unearthed more bones that likely belonged to the last missing members of the Royal Family. As a result, Russia's Attorney General reopened the murder case and conducted another forensic examination of the remains, which confirmed the results of the analysis a decade earlier. Officials later concluded that the skeletons discovered in 2007 belonged to Tsarevich Alexey and Grand Duchess Maria Nikolaevna, and the case was closed in 2008. "The Russian Orthodox Church, however, rejected the results of this second investigation, protesting the fact that its representatives weren't admitted to the forensic examination. The church has also refused to accept that the bones discovered in 2007 belong to Tsarevich Alexey and Grand Duchess Maria Nikolaevna. In 2015, the Federal Investigative Committee granted the church's request for an additional investigation, and the Russian government reopened the murder case for a third time. The remains were exhumed and sent for another forensic review. "Mironenko refused to discuss the matter with Meduza. ''Ritual killing' is such nonsensical garbage that it's embarrassing just talking about it,' he explained." Meduza.io, November 30, 2017. Story by Evgeny Berg, translation by Kevin Rothrock.